No matter where you live, traffic isn't getting better. It stands to reason that in a world, or even more specifically, in a country where the population is increasing, that crowding is going to be felt everywhere, though some will feel it more acutely than others. This of course means that sharing the road is only going to become more and more of a challenge as time passes. For most of us, our drivers ed courses were long, long ago, and from what we recall, pretty unmemorable; they were just another hoop for us to jump through in pursuit of independence. But there's a phrase that came out of that experience which has embedded itself in the minds of most of us: defensive driving. The primary idea here is that there will be reckless drivers on the road, and our best course of action is to anticipate them and minimize the risk of danger they pose to us. And while we all agree in theory that this sounds like the smartest way to drive, we don't always evaluate our current driving habits to ensure that they are reflective of defensive driving. 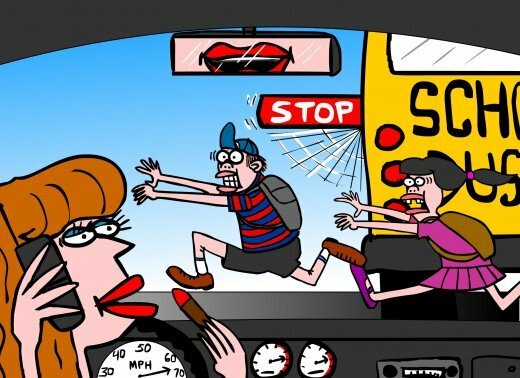 We don't like being bullied, so when we sense someone is going to cut us off, we speed up and eliminate room between ourselves and the car ahead. We don't appreciate being driven off the road onto the shoulder when trying to merge on the highway, so even after we've safely merged on, we give an angry honk at the driver who didn't let us in. Sometimes we “win,” but more often, when we engage in hostility on the road, it becomes competitive, and it becomes dangerous...and we forget all about what's important, and defensive driving takes the back seat. Don't retaliate: if someone has been inconsiderate to you, resist the urge to do the same to them. You really don't know how intelligent or stable this person is or is not, and you could be fueling their road rage, even if they were in the wrong to begin with. Don't be an obstacle: if you find yourself in the path of an aggressive driver, and if there is a safe way out, take it. There's no need for you to be tailgated in the fast lane if the right lane is open and clear. Don't insist: even if you have the right of way, don't assume that all drivers will follow the rules of driving. If you see that someone is taking your turn at a four way stop, for example, don't challenge them by pushing your car into the intersection; let them go. Remember to revisit your driving habits frequently to make sure that you are driving defensively. You could dodge a costly insurance payment that way! Thanks for sharing post on this topic. You need to be careful enough while you are driving. Get the proper defensive driving course online ontario and work safely at the construction site.